The 2018 NA LCS Spring Split is coming. Opening week is going to be marked with some ​awesome games, and their results will have a resounding impact on the standings for the rest of the split. When the opening match is between two contenders at last year's Worlds, how could you miss it? Ten teams will be competing for the gold in a series of brutal best-of-ones, a reduction from the prior best-of-three format. With the introduction and loss of some teams due to franchising, there will be a lot of new faces and logos to get attached to before the season is done. To help improve the viewing experience, there will be more to watch than just the games being broadcast. The NA LCS countdown will start the day off right with interviews and meta analysis, available to view on the ​lolesports site,​ YouTube, and​ Twitch prior to that day's matches. 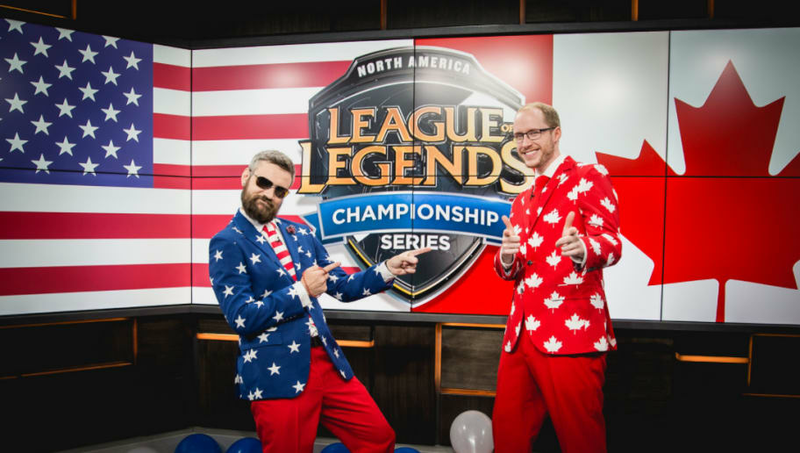 For the final game of the day on Saturdays, there will be the NA LCS Lounge, featuring guests, AMAs, and more in-depth streams. Finally, the day will close with the NA LCS Tonight recap, covering how each match went down. Never miss your favorite team play with these 2018 #NALCS Spring Split schedule wallpapers! There's a lot to look forward to in this 2018 season. Team's are more stacked than ever, but it still feels like there's an opportunity to be had for some of the newer organizations to come out and prove themselves. Don't be afraid to get hyped for the Spring Split, because there's going to be a whole lot more League than what we're used to.